Ah, but your Mom made that sandwich especially with love for you. Mom's are like that! Greatest Thanksgiving story I've ever heard, and bless your mom and Lori! 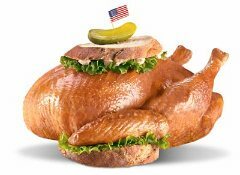 I like turkey sandwiches, too, on black rye with lots of salt, paper, and mayo which wipes out the healthy aspect. What a special memory! And a special sandwich! 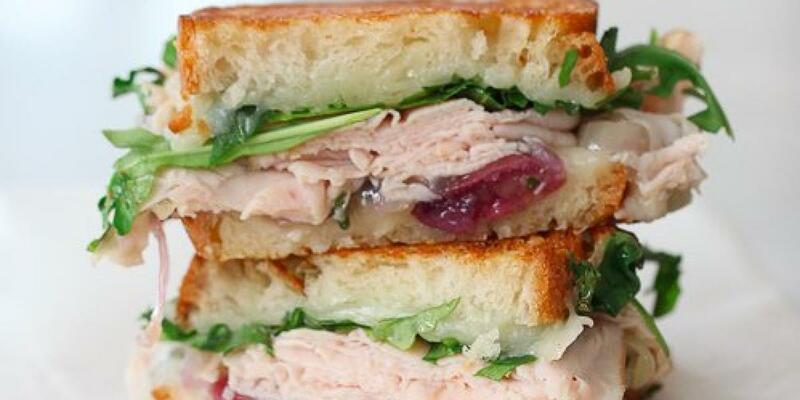 The best part of Thanksgiving is turkey sandwiches. I like mine plain with just a bit of mayo, butter, a piece of lettuce and LOTS OF TURKEY. Salt & pepper. Cranberries on the side are awesome. A hot turkey sandwich with mashed potatoes and gravy and a bit of stuffing rocks, too. Thanks for sharing with us. Great story, Skye. 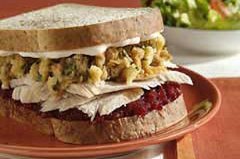 For me, the best part of Thanksgiving is the sandwiches for the next few days. But I've never had one as special as yours. Sounds like your Mom put all of her love for you into that sandwich. After worrying about you for days, she was probably thrilled to be able to bring you something from her kitchen, along with her heart. Thanks for sharing that wonderful memory. And I'm sure your daughter loves to hear the story of her birth, since it's such a touching story, what with your husband's devotion in the continuous massages, along with your mom's love. And of course, your love once you held her in your arms. Fiona - She did worry - more than you might guess. She was deaf and couldn't talk on the phone so when my husband called to say I was going into surgery at 6:15 in the morning, my dad answered and being my dad, didn't ask any questions. So, my mom spent all those hours not knowing how serious things were and asking herself if women still died in childbirth any more. If my dad had told her about the call while he was still on the phone she'd have asked where Cal was and gone to wait with him at the hospital. It was not her happiest day for sure.